Former Santa Fe Depot, Lake Elsinore, California. Motorcars are a unique piece of railroad equipment. They were used by many railroads in the middle part of the 20th century for track inspection. Between 1980 and 1985 the railroads began dispensing with motorcars. 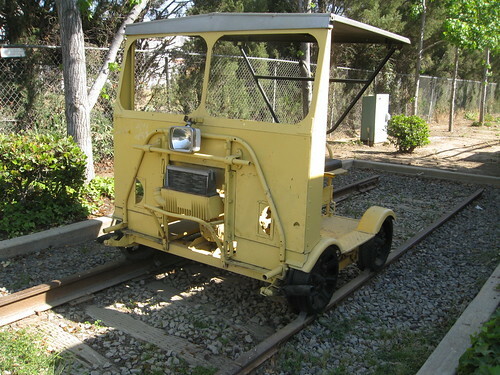 They have replaced them with pick-up trucks adapted to run on rails, called "Hyrailers".